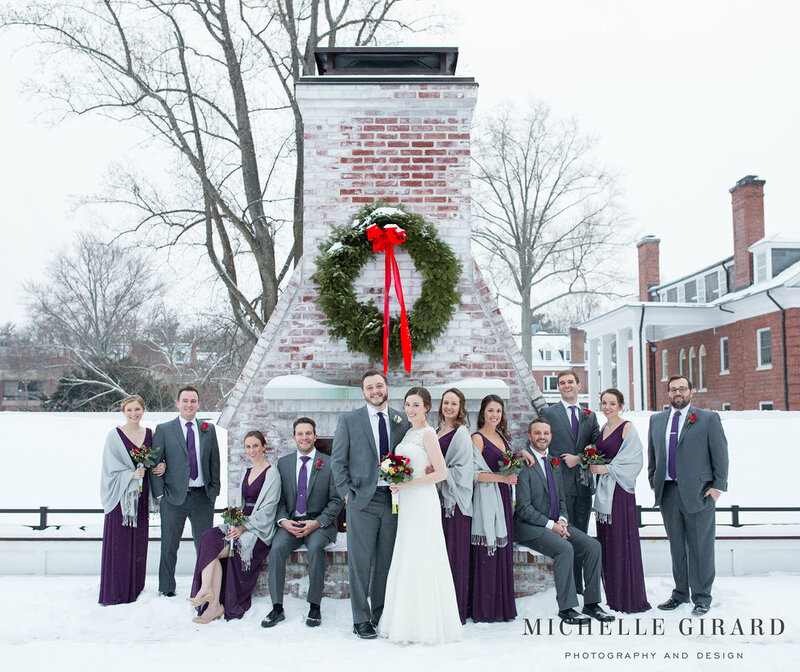 Saturday was such a beautiful Winter day, especially at the Lord Jeffery Inn where Emily and Chris had their wedding. 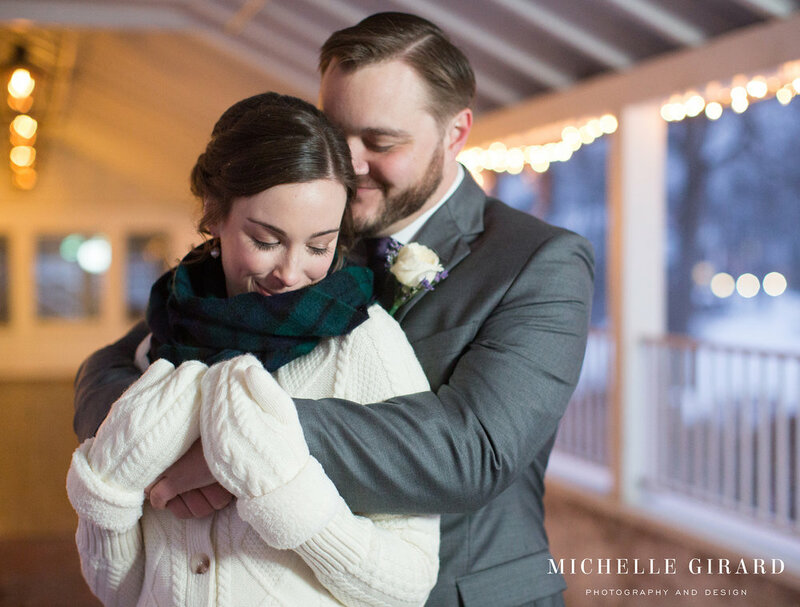 The fire places and lanterns around were lit and a light snow was falling as these two braved the chill for their first look outside. The moment they saw each other, they both just lit up. They smiled, laughed, hugged (a few times! ), and really took in the moment together. 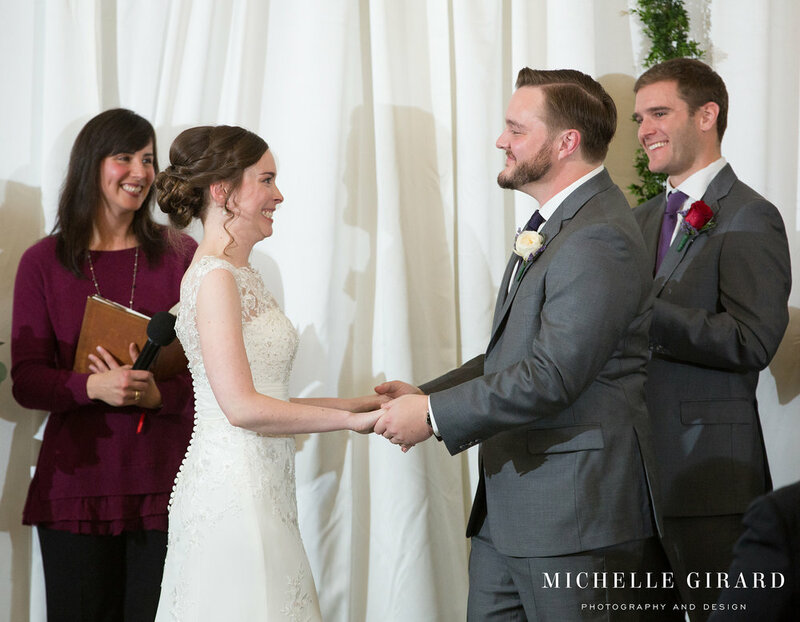 Emily spun to show off her dress and Chris showed off the custom lining and inscription in his coat jacket. And that was just the start! Their whole wedding party shared in their excitement. As we wandered around the inn for photos the energy was just so positive, even as snow got into heels and noses turned red in the cold. (We definitely utilized those fireplaces between photos!) The whole day had such a spirited, loving feel. There were big laughs and happy tears throughout their ceremony and straight into the reception where three incredibly touching toasts were made. Glasses clinked for the newly weds. Group photos on the dance floor were accompanied by cheers. And, as soon as dinner was done, the dance floor was full.. Everyone was ready to celebrate!